This cuddly creature is a wonderful toy and a beautiful piece of furniture. Any child would love to ride on this friendly elegant elephant. 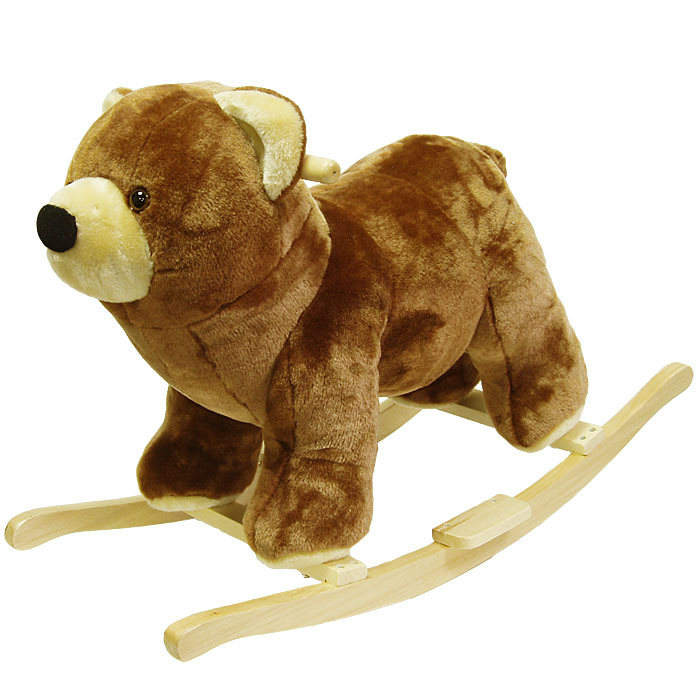 It is soft and plush to the touch is hand crafted with a hard wood core and stands on sturdy wood rockers. Its stately and striking appearance will look great in any child s room. 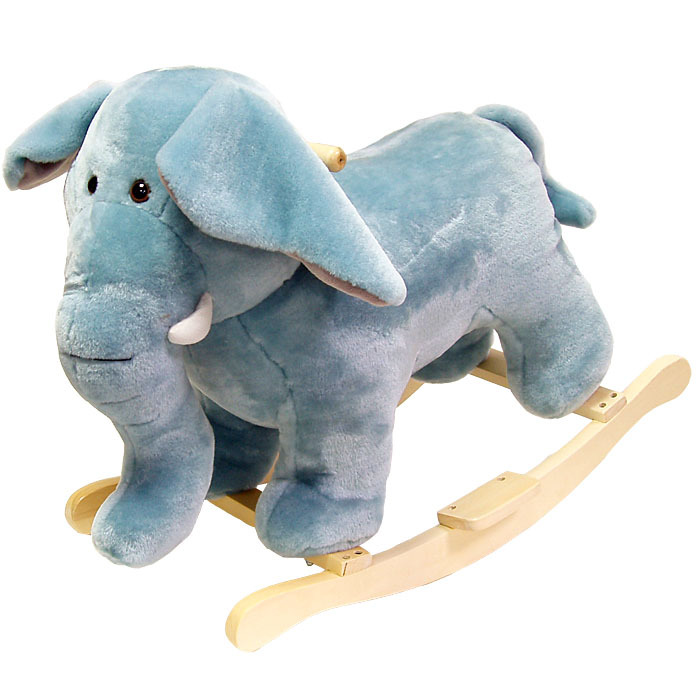 Elephant Rocking Animal: Dimensions: L 27" x W 14.25" x H 20"Recommended Weight Limit: 80lbsSeat Ht. 18"Ages: 2 yrs.& up. With over thousands of new, unique products in inventory, UnbeatableSale.com is sure to have what you want today. When you purchase this Poker 80-76ELEPHANT Happy Trails Plush Elephant Rocking Animal, you can be confident that you've found the best deal available online. Most shops charge the list price for this item, which is $80.91. At UnbeatableSale.com, you save $3.85 on our everyday price - that's at least 5%! Want to save even more? Look for items marked FREE SHIPPING for free shipping within the continental United States. We hope you will enjoy your shopping experience with UnbeatableSale.com. If you have any questions or comments, please see our contact page for information on how to reach us.